One very adverse effect I noticed in the Blogger service for blogging is that the visitors count it calculates increases every time you indulge in mundane activities like refreshing the page and whenever you switch from the dashboard to the blog page. For someone who likes keeping a record of statistics, this can be a difficult affair and if anyone else faces this same problem and knows a solution to it please let me know. 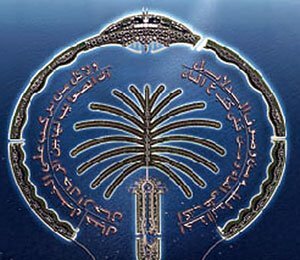 Coming back to the objective of this blog, has anyone noticed the brouhaha being made over our fair Emirate and its financial status or lack of it by the Western media? It is deeply demoralizing for the people residing in Dubai. As an Abu Dhabi travel company, we shall have you know that there are a number of people still coming into Dubai to stay and to enjoy the myriad attractions it has on offer. I feel the best thing about Dubai is its regenerative nature. Reinvention and progress are two things the city-state has taken into its stride. This is one of the main reasons why there are people visiting Dubai not only for Dubai City tours and shopping but also for residence. If you are planning a MICE in Dubai or a vacation, then this a very good time to visit. The DSF may have ended, but there are still a lot of traditional attractions that make summer a memorable time to stay in Dubai. You could book a stay in any of the luxury hotels in Dubai or simply rough it out on a safari tour in Dubai (within ac dwellings). Visit Dadabhai Travels to book the perfect summer Arabian adventure. This entry was posted in DESERT ACTIVITIES, DUBAI BEACHES, DUBAI CITY, DUBAI EVENTS, DUBAI TOURS, HOTEL BOOKINGS, LUXURY HOTELS, MICE OPTIONS, ONE WORLD, RECREATION OPTIONS, TRADITIONAL ENTERTAINMENT by Thiyagu. Bookmark the permalink.